Your spinal health is key to our Richmond chiropractic practice. Our practice is here for your relief of pain, stress, and uncertainty of your condition. We believe knowledge is power. Our mission at Johnson Chiropractic is to help you identify your pain, and provide you with the chiropractic knowledge and ability to select the best course of action for your pain management. If you experience spine pain or spine-related pain, neck pain, arm pain, leg pain or low back pain, you are not the only one. One in 3 people in the U.S. suffers back pain at any moment in time, and research shows that 80% of Richmond residents will suffer back pain at some point in their lives. Spine pain takes away your quality of life, and when it does, you want and deserve your pain-free life back as gently, effectively, and quickly as possible. We can help. Use our website as a primary source to understanding your spine function and its pain-producing problems as well as our non-surgical, gentle, effective, research-documented chiropractic treatment solution, Cox Technic Flexion-Distraction and Decompression, for your pain alleviation. Together we can accomplish our mutual goal - returning you to the best spinal health possible by a personalized and comprehensive chiropractic treatment plan. Your spine treatment and back pain relief are key to you successfully taking back your quality of life …and central to our Richmond chiropractic practice. To learn more about our services and programs, contact Johnson Chiropractic today. Johnson Chiropractic sets realistic expectations of back pain relief and improved quality of life which is really what back pain sufferers wantto live their lives more comfortably and independently. 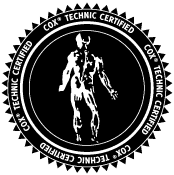 Johnson Chiropractic uses Cox® Technic to reduce back pain and neck pain due to disc herniations that were once thought to be spinal tumors! Richmond back pain treatment often includes nutrition with chondroitin sulfate for the accompanying disc degeneration. Johnson Chiropractic uses a chiropractic treatment plan with manipulation and exercise to address neck pain and shoulder pain. Our method at Johnson Chiropractic centers on chiropractic wellness as well as relief of pain, particularly spine pain and its related conditions. We provide in depth care for back pain, neck pain, headaches, shoulder pain, arm pain, leg pain, and injuries to the body from a car accident, sports injury or other cause. Our chiropractic practice respectfully serves the Richmond area. We pride ourselves on being patient-oriented and active to fulfilling your needs be they about insurance filing or appointment making or your health and healing. We administer customized treatment plans to accommodate your exact needs. If you're in need of a chiropractor in the Richmond area, contact us today!